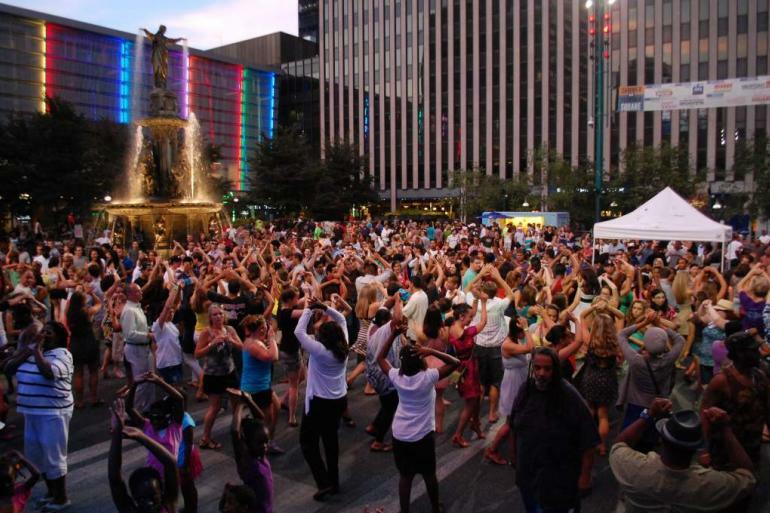 P&G’s Salsa On The Square features live local and regional Latin bands specializing in Salsa, Merengue, Cumbia and Latin Jazz. In addition to the live music, local dance instructors host large dance classes teaching basic and intermediate Latin dancing. Great food and cold drinks are always on hand! This annual weekly summer music series takes place every Thursday, May 2 -September 26 from 7-10p.